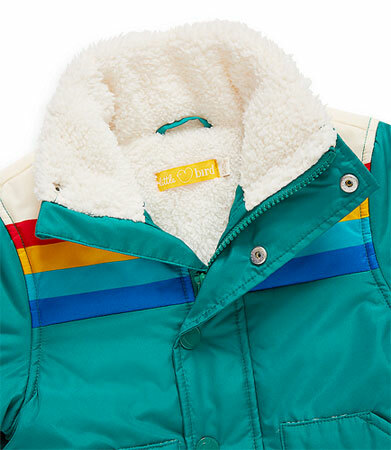 Just noticed the Little Bird by Jools Borg lined coat at Mothercare, which looks perfect for brightening up a dull day. Love the 1970s-inspired design. 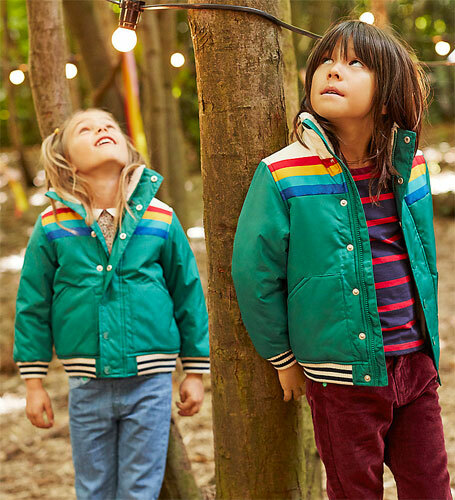 In fact, this could have come straight out of the era where every child seemed duty bounds to wear an anorak as soon as the temperatures dropped. This one is lined with ‘super soft and cosy Borg fabric’ to keep the little one warm, with a high neckline keeping off the chill too. 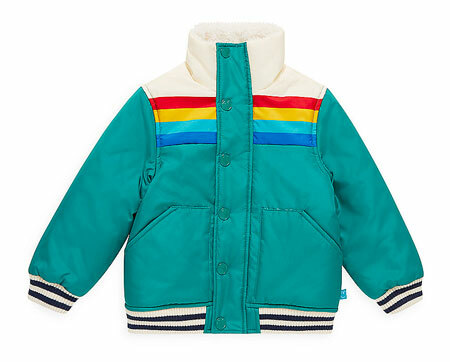 Outside of that you get the rainbow stripes, popper and a zip opening for easy dressing and ribbed hem and cuffs. You can pick this up for ages 9 months all the way to 8 years, with prices between £24 and £26 depending on that age.